WhatsApp has been making very major updates this year to its Android and iOS applications. The Facebook-owned instant messaging giant is here now with a new update for its Android beta version. 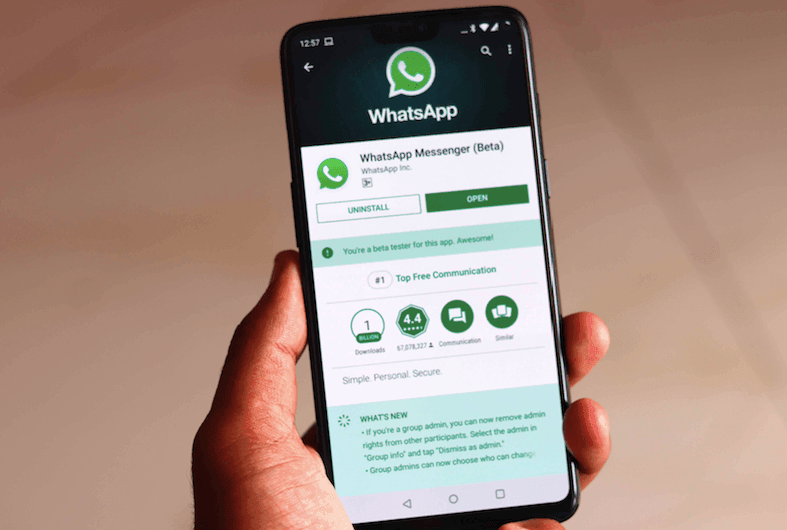 Notably, a few weeks ago WhatsApp had been spotted testing the picture-in-picture functionality for its Android Beta version. The picture-in-picture functionality would allow WhatsApp users to watch videos shared from Instagram, Facebook and Youtube on the app itself. With this feature, users won’t have to exit the WhatsApp application, and they won’t need to open the shared link on a third-party app to watch it, they will be able to do it on the chat itself. In the previous update for Android, WhatsApp had also brought another handy feature which is the swipe to reply functionality within the chat. This quick little feature was only available in iOS before this, and Android users had to tap and hold on to messages within the chat to reply to the text. Now with this feature, Android users of WhatsApp will be able to respond to messages by merely sliding on them swiftly. The latest Android version of WhatsApp which is the version 2.18.310 brings the Picture in Picture functionality to the application. Using this feature, WhatsApp Android users will be able to able to watch a video via a Youtube, Facebook or Instagram link in a popup window. The feature will also allow links from streaming site Streamable for this feature. Using the PiP feature, users will be able to chat simultaneously while they watch the video in the chat screen itself. Further, users will be able to drag the video popup window on the screen, and they will also be able to resize it. If you want to experience the latest Picture in Picture mode on WhatsApp, you will have to back-up your chats and WhatsApp data, and then you will be required to install the latest WhatsApp Beta version for the PiP mode to work. However, there is one thing which a lot of beta users have pointed out, that the PiP mode stops working as soon as the users exit the chat. The feature works fine on iOS. However, on Android, it is expected to be resolved in the next update. WhatsApp has also been hinted to be working on a new dark mode for its iOS and Android app. This feature will be especially appealing to the users who like to have different colours to their chat screen instead of the usual green theme which WhatsApp follows. Further, the dark mode will also help the users in reducing eye strain while they use the app at night in the dark. The Facebook-owned instant messaging giant is also probably going to bring ads on the platform as per the latest updates. From a long time, Facebook has been eyeing monetisation for WhatsApp, and it is probably going to do it via stories like it has done before with Instagram. The monetisation of the platform via ads has been one of the reasons for Jan Koum leaving the company.